Got a story in your head? Scribble it down on the move, or from your desk - your choice - using boardthoughts.com! This free resource was created in my spare time to allow any budding film maker to create storyboards. It may not look that nice, but it works and is free! If you come across any bugs, let me know and I will try to fix them as soon as I can. Think of a really cool feature - ask me to add it! I want to try to evolve this into something everybody can use. Found something that can be improved, ask again - I will try to adhere to your wishes! You can contact me at mike@boardthoughts.com. You can group scenes together to make sets, or just have scene after scene - your choice! All your scenes and sets of scenes (grouped) are displayed in the timeline. 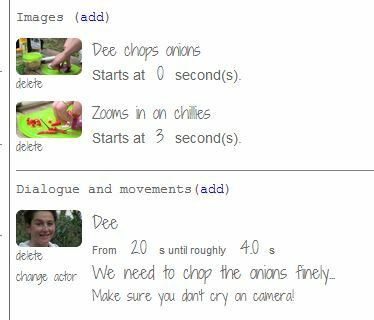 A set of scenes allows you to group similar scenes in one 'slot' so that you can manage your project more easily. The third scene above is a set, and shows you how many sub scenes and sets are contained within it (3 in this case). Intuitive way to work - if it looks like handwriting, you can change it! The page is designed to look like a paper story board. Typewriter letters are fixed, handwriten text is not! 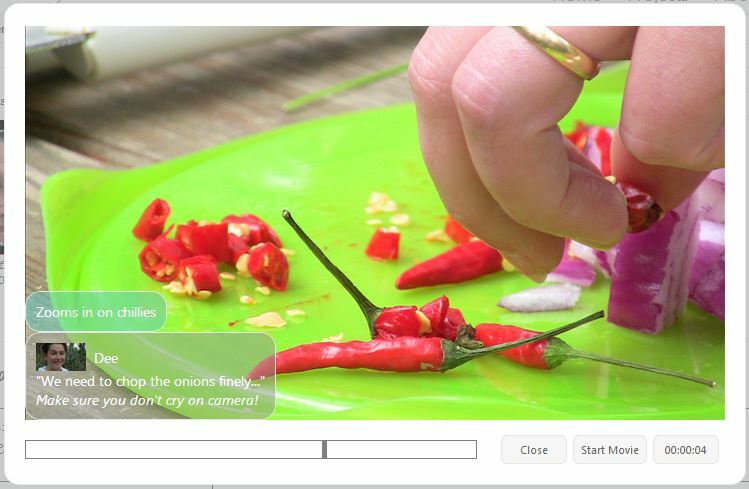 Simply click or touch the handwriting text and replace the contents! You simply click the text which highlights it - you type in your new text and then press return. Thats it! Share it and work together with co-workers/friends! Projects can work better and be more fun when you get help, and with online boardthoughts you can do just that! You can choose which projects are shared and with who - you can also choose who can do what when you share it! You can play the entire project, a series of scenes (or sets) or just one scene, with all dialogue and instrutions on screen - at the timing points you set up!. Instructions on the scene name, dialogue and actor instructions are clearly overlaid on the screen, and appear and disappear according to the timings on the board. We save all your work online so that you can access it at anytime, from anywhere with internet. But you can save your work locally for peace of mind or back up purposes, or get the project in a PDF file for circulation! You can get all dialogue, scenes, snippets, asset use - all generated for you from the programme! Signup now, and start your BoardThoughts! Click here to begin the signup procedure.